Within the home of thoroughbred horse racing lies the Newmarket Racecourse. It is a 45,000 capacity facility owned by the Jockey Club Racecourses, ever busy because of its location within what is widely regarded as the headquarters of horse racing in Britain. The course is located within a market town of Suffold county, around 65 miles North of the country’s capital. Horse racing in general Newmarket dates back to the 1730s, but the course itself dates back to around 1740. Being in a market town, the initial races were organised by the traders in the locality, first as a leisure and later as a business venture. King James I used to go watch the races, leading to the introduction of the King’s plate race to add to the Town Plate. There are two courses within Newmarket; Rowley Mile and July/Summer. Another minor course, the Round, is present but never used for major races. It is a flat course type, making it an ideal place to test actual speed and stamina of race horses. Newmarket hosts nine of 32 Group 1 races in the British racing calendar every year. 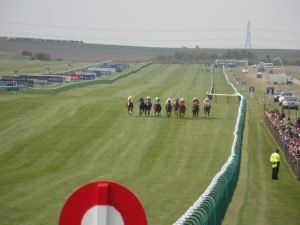 It also hosts 1,000 and 2, 000 Guineas Classic races, plus several other pattern races. Taghrooda and Kingman made names for themselves at The Newmarket in first half of 2010’s adding their names to a host of great horses who sharpened their profiles at the flat course. The racecourse also hosts music and TV events. The Jacksons are expected to perform there in the summer, while BBC One’s Bargain Hunt show is expected to film at the Rowley Mile on June 4, 2017.